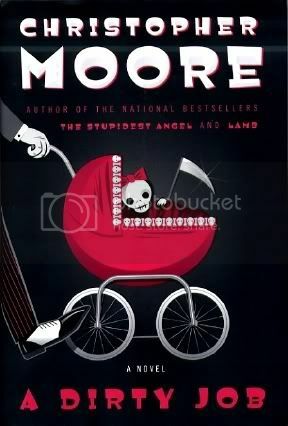 A Dirty Job by Christopher Moore is probably the funniest book I've ever read. While reading, I remember cracking up loudly and my husband looking at me like I'd lost my mind for finding so much humor in a book (he just doesn't get it, poor guy.) Whenever I think of Charlie Asher, neurotic, hypochondriac, beta male, hell hound owning, new father, it makes me happy. I need to read this one again soon.